Artwork details: gouache, 17.4 x 24.3 inches (44 x 62 cm), 2003. 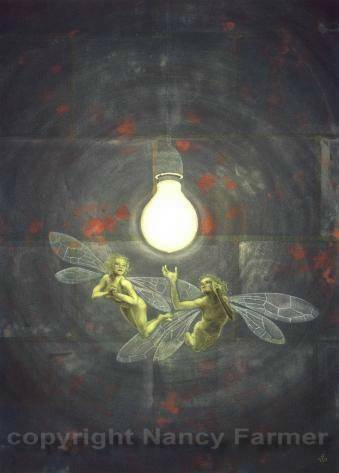 In as much as there is any setting here, I've used a 'modern' setting - bare brick wall and an electric lightbulb which attracts the fairies - rather than a nice old-fashioned candle flame - a sort of fairytale meets the real world setting. 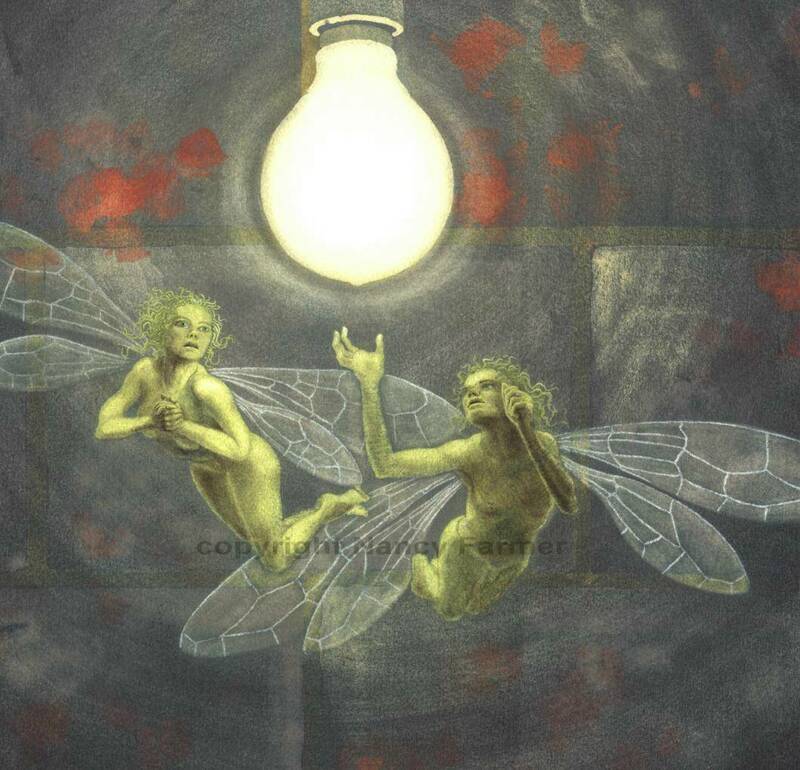 Fairies fluttering helplessly around a lightbulb... Of course this idea is part of an on-going thing I have about equating fairies with butterflies. One of the first of such paintings was 'Hatchlings' - see thumbnail to the left - which has fairies hatching, like butterflies, out of chrisalises. But 'Pretty, Pretty Light' is a nice metaphor, too, for those things we're attracted to that we shouldn't be. We all have those... And then again what the fairies ate attracted to is, as we know, not really all that special or beautiful at all - we probably all have those kind of attractions, too!